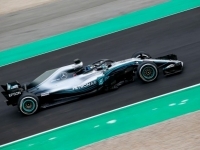 Mercedes-AMG Petronas Motorsport, Valtteri Bottas Source: © 2018 Daimler AG. All rights reserved. 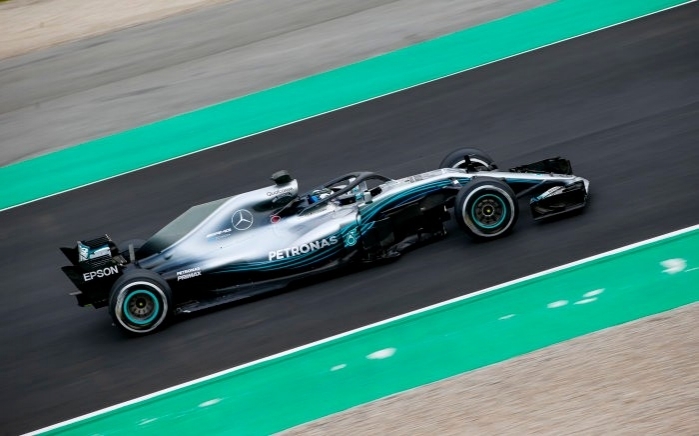 Mercedes-AMG Petronas Motorsport completed the majority of its planned programme on the first day of 2018 pre-season testing, gathering valuable aero and tyre data. 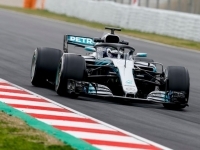 Owing to cold temperatures throughout the day and rain after the lunch break the team decided to cut the running short midway through the afternoon. 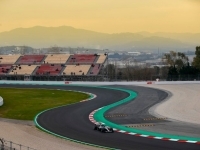 Valtteri Bottas and Lewis Hamilton took turns at the wheel of the all-new F1 W09 EQ Power+, completing a total of 83 laps at the Circuit de Barcelona-Catalunya. Our first morning here in Barcelona was very positive. We got everything done that we had planned. The main mission for the morning was to gather aerodynamic data, so I was doing runs at constant speeds. I got a few practice laps for myself as well; but that kind of running was very limited. 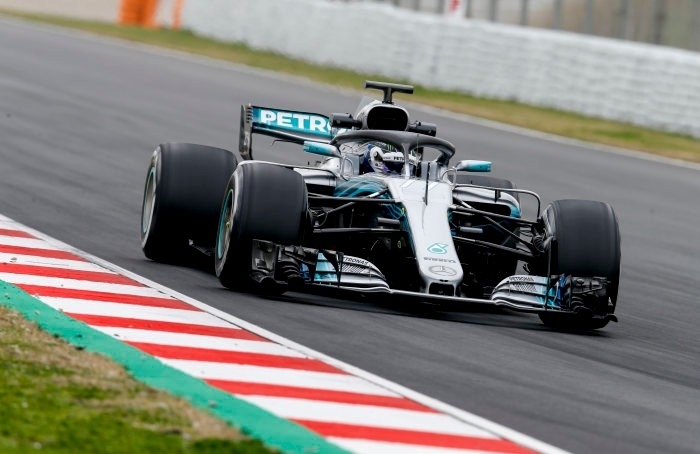 We didn’t do any performance running, so I haven’t pushed the W09 to its limits yet. The initial feeling of the car was good, it was behaving well. I couldn’t point out any negatives compared to last year’s car, only positives so far. It was really good to be back in the car; it felt like I haven’t been away at all. It didn’t take any time to get used to the car – that’s a good feeling. Driving these cars is still hard work for the drivers, but I had a good training programme over the winter, so I felt physically prepared. The weather conditions today were a bit tricky with the cold temperatures. Neither the cars nor the tyres are made to be driven in five degrees Celsius. We ran two sets of Medium tyres. In these conditions it was difficult to get enough heat into them to get them working properly. That’s been the main challenge of the day, but that’s the same for everyone. The amount of testing we can do is limited so we have to make the most of it. It’s great to be back in the car after three months off, but unfortunately we didn’t get the chance to complete many laps today owing to the bad weather. 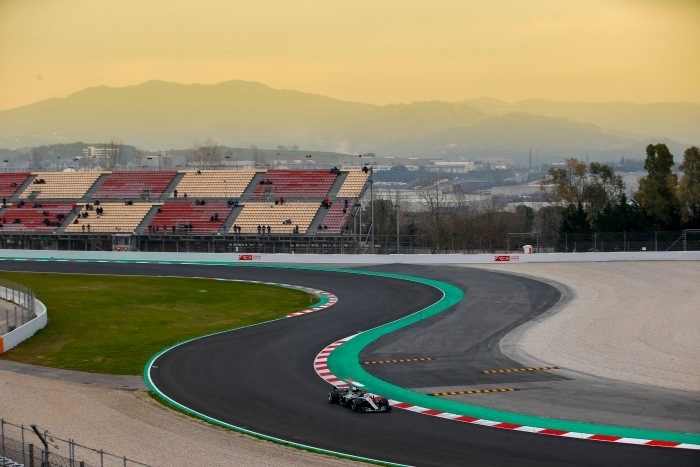 The track was very cold in the afternoon, meaning it was tough to get any sort of heat into the tyres. The tyres weren’t really working in these temperatures, so I could not get a real feel for them. I didn’t really get the chance to push in the car and go up to top speeds as the conditions were so bad. It’s hard for me to say a whole lot about the car because I did not drive it for a long time, but the initial feeling is good.